The revised Evora will spearhead Lotus' return to the U.S.
NORWICH, England -- British sports car maker Lotus Cars will be profitable again by 2017 after years of losing money, CEO Jean-Marc Gales said. The former PSA/Peugeot-Citroen and Daimler executive has implemented measures to cut costs while improving the automaker’s product lineup since he took over Lotus in May 2014. But Gales said the company will not launch all-new cars until its new China-built SUV debuts in 2018/19 as he focuses on boosting sales and cashflow. Lotus will increase sales in the short term by making changes to the current three-car line-up, Gales said. The company has added an automatic transmission to its track-focused Exige two-seater, which is close to passing the entry-level Elise as the company’s top-seller. Gales expects 40 percent of Exige sales to be models with the automatic transmission. The company also unveiled a facelifted version of the flagship Evora coupe at the Geneva auto show in March that will spearhead the brand’s return to the U.S. market. The Evora was the only Lotus model sold in the U.S. but was dropped for the 2015 model year because it no longer met federal crash standards. Lotus has redesigned the Evora to meet U.S. standards and moved the mid-engine coupe further upmarket to better compete with the likes of the Porsche 911 and Audi R8. A convertible version is due next year. Gales expects the U.S. to be the Evora's biggest market. Gales said Lotus has stripped 10 percent from the costs out of producing cars and he plans further cut costs by switching suppliers. “We are going through our whole supply chain, gradually replacing smaller suppliers with larger ones, reducing costs and improving quality,” he said. Last September Lotus said it was cutting 325 jobs from the 1,250 workforce at its headquarters here. The final figure was 260, Gales said. Gales said he does not expect the engineering side of the business to grow again until after three to four years. Lotus said that its wholesale vehicle sales were up 55 percent to 2,015 in the financial year to the end of March 2015, from 1,403 the year before. Gales said he is targeting annual sales of 3,500 by 2016. 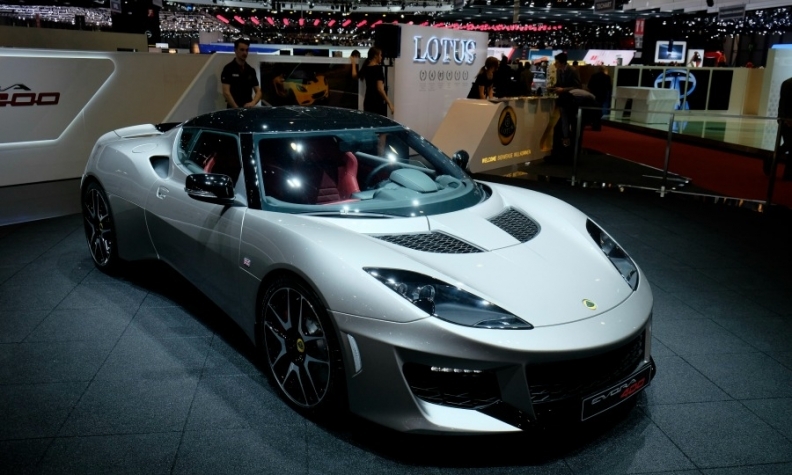 Lotus' sales growth has been boosted by an expansion of dealerships. Gales aims to increase Lotus dealerships to 200 by the end of this year from 174 by the end of March. He said that losses have been “massively reduced” in the year to the end of March compared to a loss of 65.6 million pounds ($100 million) for the year ending March 31, 2014. The year before Lotus lost 159.4 million pounds, according to figures released by the company. Gales says that the company will show a profit in the financial year ending March 2017. “It’s something we haven’t done consistently from the car side in over 20 years,” he said. Gales' ambitions for Lotus are more modest than those of his predecessor, former Ferrari executive Dany Bahar, who had planned to boost Lotus's annual vehicle sales to 10,000, a similar volume to Ferrari. Bahar was fired in 2012.